Reviewing your COGS (Cost of Goods Sold – what it costs you to make the product you sell) is a bit like deep cleaning your house. You need to do it and you know you need to do it, but you don’t do it enough. Bramble Berry recently did a poll of approximately 5% of our customers about Patchouli Essential Oil usage trends. Why Patchouli Essential Oil? Because Patchouli Essential Oil has had a well-documented, meteoric price increase for 2008. What used to be purchased for $30-$40 per pound is currently selling for $182 per pound. Why is this? Supply and demand for the year – there was more Patchouli Essential Oil purchased on contracts by the big perfume houses than the producers made. Scarcity = price increases. I keep hearing that this situation will start to stabilize in September but in the meantime, we undertook a survey to see what our customers were doing to work with and around the Patchouli issue. Of those Patchouli users, 16% were raising their pricing and 22% were changing formulations (switching to fragrance oil, using different base notes). The rest of Patchouli fans were keeping their price stable and losing money in the hopes that the pricing will come down. This post is for the 62% of you that are holding on and not increasing prices or changing formulations of your Patchouli based products. This is an opportunity to discuss general pricing practices in business. How exactly do you price your products? More importantly, are you pricing high enough to sustain a stable and profitable future for your business? It’s what I would do naturally even if I wasn’t getting paid. Or would I? The truth is that when I put in a 60 hour work week, I need something tangible to show at the end of the week for my efforts. 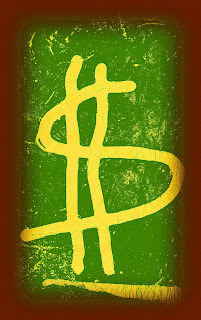 That something tangible – the easily measurable thing – is money, profits. While profit need not be obscene, the longevity and stability of my business requires them for investment in the future, for infrastructure costs and to ensure job continuity for my staff. In these uncertain economic times, it’s more important than ever that you price for the future. In the face of unrelenting layoffs and dismal financial market news, you need to be in control of your destiny with your small business. Your small soap business may be the rudder on your family’s financial ship, steering you to safety over the next few years of economic turmoil in the US. That’s why you shouldn’t sit by idly and hope that Patchouli prices come down. It is imperative that you review all of your costs on a regular basis to ensure that your profit margins are protected so you can plan for a stable future for yourself, your family and your business. Completely understand the pain of raising prices. Everyone is in this together right now with commodities going the way they are. It is definitely frustrating but yes, if you want to be in business next year, it’s the only option you had. I just had to raise my shipping costs. Now it costs almost as much for a customer to have my item shipped as it did to buy it in the first place. But I was blowing all my profit by holding out. Seems like a no-win situation. Very timely post. I go through Patchouli at a fairly rapid rate, so when I heard the price was going to increase, I bought up a bit. Now I’m hoarding! LOL! But, I’ve also been polling my die-hard patchouli lovers on the subject and several are asking me to give them a price if I made the soap at the current prices before I quit making it altogether. I just hope you are right about the price stabilizing this fall. Good words on pricing and considering the future Anne-Marie! I don’t use Patchouli very often, which is why I voted that way. Currently, I am not losing money on the deal because my usage is extremely low. However, more and more people are asking me to carry a patchouli-only soap, so I may have to rethink my position. Spotted, I agree about people pricing low hurting everyone. We shouldn’t do a “race to the bottom” with pricing. It’s not sustainable for our long term business. Erin, I agree – those fuel surcharges are really getting up there. It will be interesting to see the reaction of customers. How many will be content to pay more and how many will decide it isn’t worth it. I agree about the shipping! Sometimes I used FedEx-Express Saver to get orders to the customers quicker. But, they have tacked on an expensive fuel charge for this service and sometimes it’s more expensive than the entire cost of the package! So, I’ve been forced to use USPS for practically all my shipments now. Great post. It hurts the rest of us when folks discount prices down so low (hobbyists) to get sales. Makes those of us trying to cover the COGS and make a living look like we are price gouging when in fact, we are not. Great post. Helped me to think about things I can be doing. We have to be proactive in our business and even at home. Thank you for sharing this important and valuable information. Carrie – Gigi, It’s really important to make sure that we don’t go backwards in progress for our business. With inflation rising, it’s easy to see how it could get away from us all. Joanna, It is weird how closely you and I think sometimes! I’ll hit your blog and go “Hey! I did/was doing/had done that last week/for next week/sometime in the random future idea/soaper/post.” It’ll be fun when we finally meet in persona. This is a great post. Patchouli Oil was only the beginning of the increase in supplies really. FOs with patch in them have also gone sky high. Olive, Rice Bran and now Coconut Oil prices have gone through the roof. Shipping increases the cost even further. It’s imperative that people re-evaluate their cogs before they are no longer in business. I’m part of that 62%. Also, I have held out on hiking my prices as long as possible, just because I know my customers are groaning over the price of everything going up with the blink of an eye. I don’t want to be another on the long list of things they can’t afford anymore. Great post! The accountant in me (former self) is thrilled you tackled this subject! !